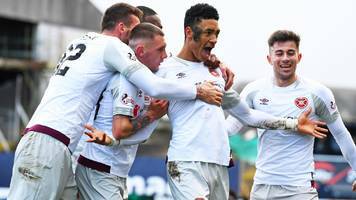 Sean Clare's penalty proves decisive as Hearts overcame Partick Thistle to clinch a Scottish Cup semi-final against Inverness. But the pressure has been heaped on Jim McIntyre's side after a third straight defeat. 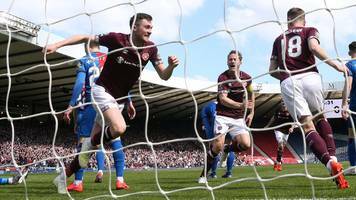 Clevid Dikamona handed the Jambos the lead but Clare's own goal made it two away draws on the spin for the Premiership's bottom side. 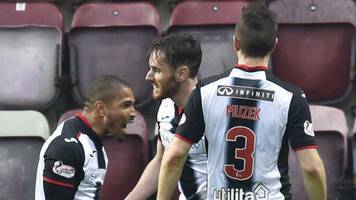 Bottom side St Mirren fight back to draw with Hearts and deny the Tynecastle outfit a share of fourth place. 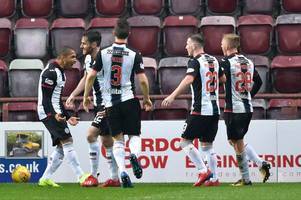 Steven Naismith was also on target as Craig Levein's side triumphed at Rugby Park. 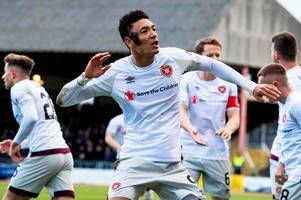 Sean Clare's strike just after the break was enough to give the home side a last-16 tie against Auchinleck Talbot. 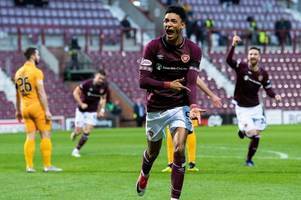 Clare curled home a second-half beauty to fire the Jambos past Livingston. 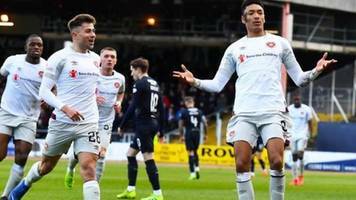 Sean Clare's first goal for Hearts is enough to net them a place in the Scottish Cup fifth round at the expense of Livingston. The 22-year-old has played with both frontmen and believes playing them together could prove very successful. The midfielder has yet to pull on the maroon shirt. 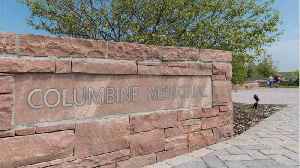 The Jambos boss has tipped his new attacking midfielder to be a Tynecastle star. 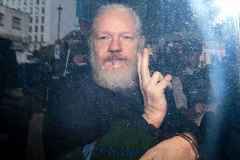 BBC Local News: Sheffield and South Yorkshire -- Hearts broke their budget to pay Sheffield Wednesday a six-figure fee for midfielder Sean Clare, manager Craig Levein says. 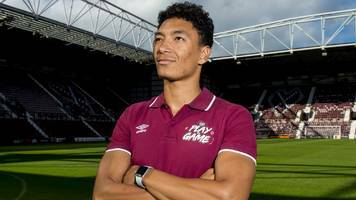 Former Sheffield Wednesday midfielder Sean Clare says new club Hearts can maintain their Scottish Premiership lead because "anyone can win it". 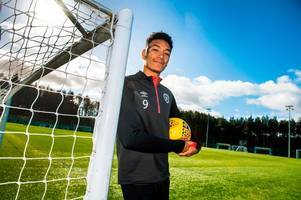 BBC Local News: Edinburgh and East Scotland -- Former Sheffield Wednesday midfielder Sean Clare says new club Hearts can maintain their Scottish Premiership lead because "anyone can win it". 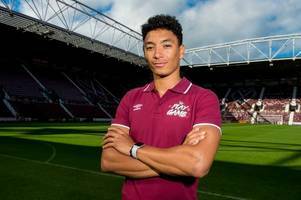 BBC Local News: Edinburgh and East Scotland -- New Hearts midfielder Sean Clare reveals he turned down offers from the English Premier League to move to Scotland. 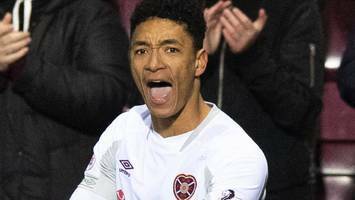 Hearts sign Sean Clare on a three-year deal after the midfielder is released by Sheffield Wednesday. 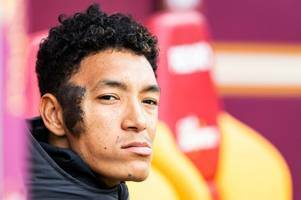 BBC Local News: Sheffield and South Yorkshire -- Hearts sign Sean Clare on a three-year deal after the midfielder is released by Sheffield Wednesday. 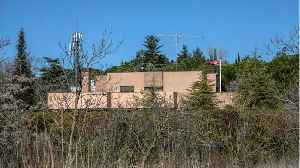 The 21-year-old has agreed a three-year deal at Tynecastle and takes the number nine jersey. 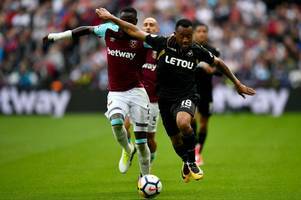 Hearts expect to complete a deal for the midfielder by Monday. 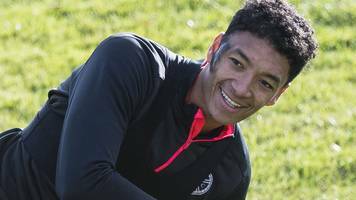 Swansea City have beaten Leeds United and Aston Villa to the signing of free agent Sean Clare. 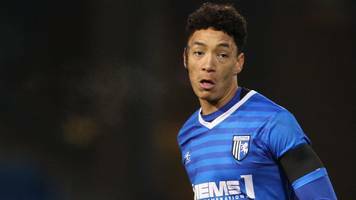 Aston Villa have had to pull back from their bid to land Sheffield Wednesday ace Sean Clare - and now the race to sign him is back on, The post EXCLUSIVE: Everton, Leeds, Wolves move in as Villa..
Aston Villa are set to seal the signing of Sheffield Wednesday prospect Sean Clare, TEAMtalk can exclusively reveal. 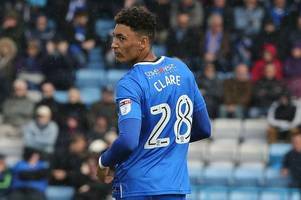 The post EXCLUSIVE: Aston Villa to beat rivals to Sheff Wed midfielder appeared..
Sheffield Wednesday look set to lose highly-rated midfield star Sean Clare this summer, with Spurs and Everton keen, TEAMtalk can reveal. 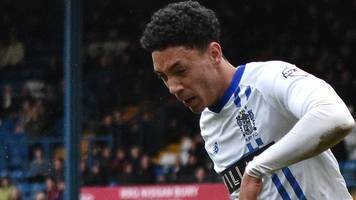 The post EXCLUSIVE: Tottenham, Everton chasing Sheff Wed..
BBC Local News: Kent -- League One side Gillingham sign midfielder Sean Clare on loan from Sheffield Wednesday until 3 January.